How can I apply for Australia Awards Scholarships? You can apply online via https://oasis.dfat.gov.au. Applicants from Indonesia who apply online must also complete an Additional Information for Online Application. Who can apply for the scholarship and what are the categories? A: Australia Awards Scholarships are offered in two main categories: ‘Targeted and Non Targeted’. For more information please go to Targeting of Awards. What are the eligibility requirements for Australia Awards Scholarships? Australia Awards applicants must meet all eligibility requirements detailed in the Scholarships Policy Handbook. In addition to these basic eligibility requirements, candidates from Indonesia must also meet the additional country specific conditions listed under Category and Eligibility section on this website. What are documents required for submission with the Australia Awards Scholarships application form? Applicants must submit with their application all of the relevant supporting documents listed in the Scholarships Policy Handbook. Photocopies of certified documents will not be accepted. Applicants must also provide the essential documents to meet the specific requirements for Indonesia. If at least one essential document is not provided, your application will be automatically rejected. Click here to see the list of required documents. What is meant by a certified copy of an original document? This is where an authorized person has checked the copy of the document against the original document to ensure that the copy is true and accurate. 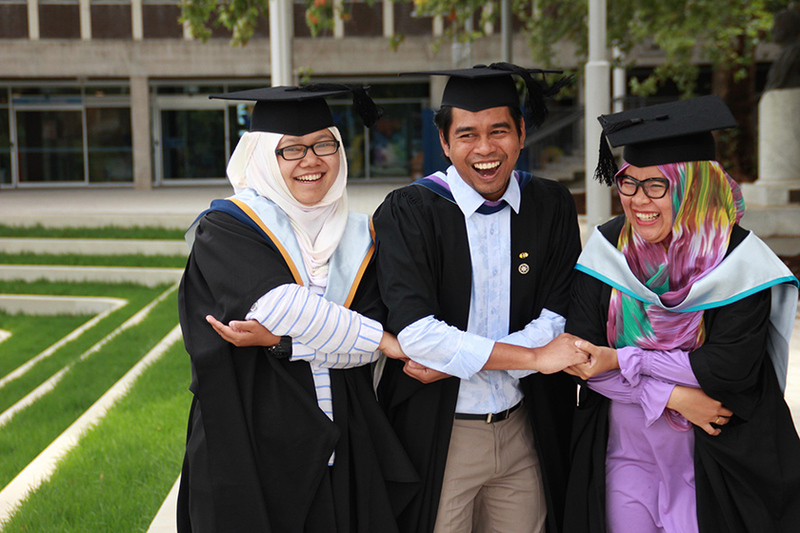 When is the last day to submit the Australia Awards Scholarships application? Applications must be received at the latest by 30 April (Australian Standart Time). Applications received after the closing date will not be considered. I am a recent graduate, and have not obtained my certificate yet. Should I submit my transcript only? For a fresh graduate whom have not had their certificate yet, they could submit their transcript and an acknowledge letter from the university stated that they have completed their degree. If I cannot get a reference Letter from my S1 supervisor, whom should I get the reference letter from? There is no obligation for applicants to submit a reference from their S1 supervisor. The obligation to submit an academic reference is only for applicants applying for this PhD. In this case it is necessary to submit an Academic reference from their S2 academic supervisor during their S2 program. How do I get a GPA for an overseas university undergraduate qualification that I possess? This is not necessary. It is only necessary to submit your academic transcript and award from the overseas university. Do I have to submit a research outline? What are the points that should be included in my research outline? If you apply for a Masters program that include at least fifty percent research or a PhD program then you must submit an outline of the proposed research project (1 page) and include details of any proposed fieldwork outside of Australia that you would need to undertake as part of your research. Please refer to section “Research proposal details” of the Australia Awards Scholarships application form on how to write the research outline. When is the last date of IELTS/TOEFL result date that can be accepted for consideration during the application process? Can I submit TOEFL prediction? Does an Australia Awards Scholarships applicant need to apply to their preferred university and course before applying for the scholarship? Australia Awards Scholarships applicants are not obligated to apply to Australian universities before applying for a scholarship. The Australia Awards Office will arrange the placement process for the awardees after they have been selected for an Australia Awards Scholarship. Where can I get the IELTS / TOEFL results for submission with my application form? TOEFL / IELTS results issued by any formal / legal IELTS / TOEFL institution (local universities, LIA, EF, etc.) are valid. Click here to download the list of TOEFL ITP center. What is meant by TOEFL Institutional, TOEFL Prediction and TOEFL International? Following are the explanation for different types of TOEFL. TOEFL Institutional : TOEFL results administered by legal/formal local English language institution such as LIA, EF, University’s Language Centre, etc. TOEFL Prediction : TOEFL results issued only to know applicants level of English. This test normally used during the placement test of an English course or after certain period of TOEFL training. This is not an actual test for general or academic purposes and is NOT accepted for Australia Awards Scholarships application. TOEFL International : TOEFL results administered by TOEFL International institution. There are 2 types of this: a computer based TOEFL and a paper based TOEFL. Do I have to submit an English translation of my certificate, transcript and birth certificate when applying? No. However you must provide these documents if you are shortlisted for an interview. Where can I get a certified copy of the documents required? All applicants must attach copies of a certified transcript of academic records and copies of their certificate. Copies of original documents are to be certified by your university (home institutions) or notary only. What are the Australia Awards Scholarships Priority Fields of Study? Candidates are encouraged to apply to study courses which fall within Priority Development Areas (PDA). The PDA relate directly to the strategic objectives contained in the Australia and Indonesia Country Strategy. For more information please go to Priority Fields of Study. Is it possible to choose a different field of study related to my education background? Yes. As long as the proposed field of study will support your career in the future and contribute to the development of Indonesia. Do you have to identify an Australian university and a course for your proposed study program when you applied for Australia Awards Scholarships? No, you make this choice during your English for Academic Purposes (EAP) training after receiving the scholarship. All you need to identify on your Australia Awards Scholarships application is the priority area that your course of study fits into and also some key words to describe your proposed course of study. What is the Australia Awards Scholarships selection process? Following confirmation of eligibility, applications will be shortlisted. The selection process will also include an interview and take into account the principles of merit and equity and will be carried out jointly on behalf of the Australian and Indonesian Governments by an independent team of Indonesian officials and academics working in partnership with Australian academics to evaluate and rank candidates. For more information please go to Selection Process. What will happen if I need an extension to conclude my study? A Period of extension will only be allowed in a “special case”; or only when “major-force” conditions apply.